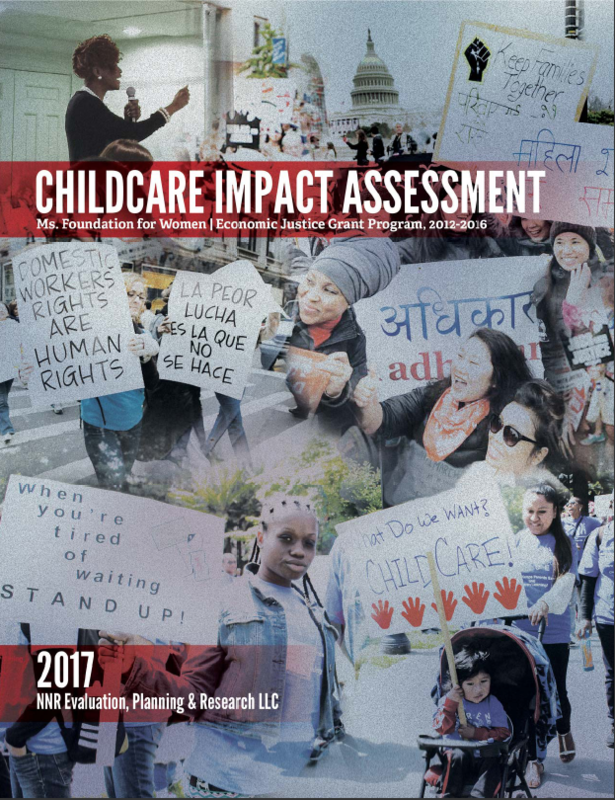 In the fall of 2016, Aleyamma Mathew, Director of the Women’s Economic Justice Program, in close collaboration with Naveen Khan, Program Associate at the Ms. Foundation for Women, commissioned Nicole Robinson of NNR Evaluation, Planning & Research LLC to conduct an impact assessment of the Foundation’s grassroots-led childcare agenda. This impact assessment was limited to the period of 2012–2016 and had four learning objectives: 1) document and assess the impact of the Ms. Foundation for Women’s Economic Justice Program, 2) document and assess the organizing and advocacy work funded, 3) develop recommendations for the grant program’s strategic direction, expansion, and infrastructure, and 4) conduct an exploratory organizational capacity-building assessment with selected grantees. This is the final report.